Fig. 4-6. 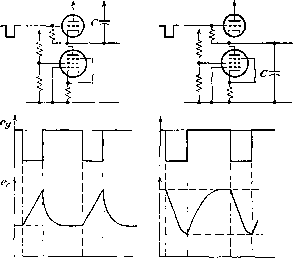 Schematic and equivalent circuits of a tetrode in an amplifier circuit. employed. This requires the introduction of a point S, the screen terminal, in addition to the points K, G, and P.
Fig. 4-7. The ideal equivalent circuit of a tetrode amplifier.